Kent Display, a screen tech company based in Kent, Ohio, put out a press release today. They've raised over $7 million in funding to expand production facilities for the low-power, bi-stable, LCD screen used in the Boogie Board. Part of the funds came from the state of Ohio as a $2m loan. The other $5 comes from a term loan and a working line of credit. 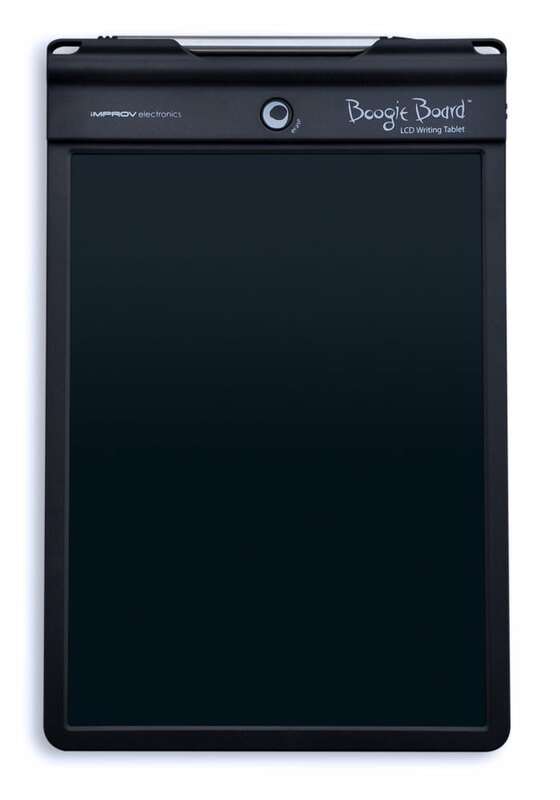 Kent Display is best known for their Boogie Board writing tablet, which uses a proprietary screen tech developed by Kent Display. The idea behind the Boogie Board is that you can write, draw, or scribble on it with a stylus or your finger. The screen will hold the contents without using electricity. When you're done writing, you click the erase button and the screen is cleared (this part requires electricity). It's something like a high tech etch-a-sketch. The first Boogie Board was launched in January 2010. Two models have just recently been released, and a 4th is scheduled this fall. I have no particular interest in these because they can only be erased in full. I don’t find it useful to have to clear the whole thing to fix a minus sign.